On mornings that I get up early for boot camp I need a drink that will wake me up, give a little fuel, hydrate me and help alkalize my body. 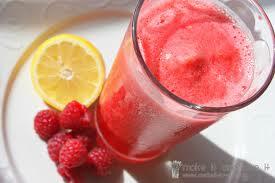 I created this raspberry lemon ginger-ade by mixing a few recipes I’ve run across on-line. 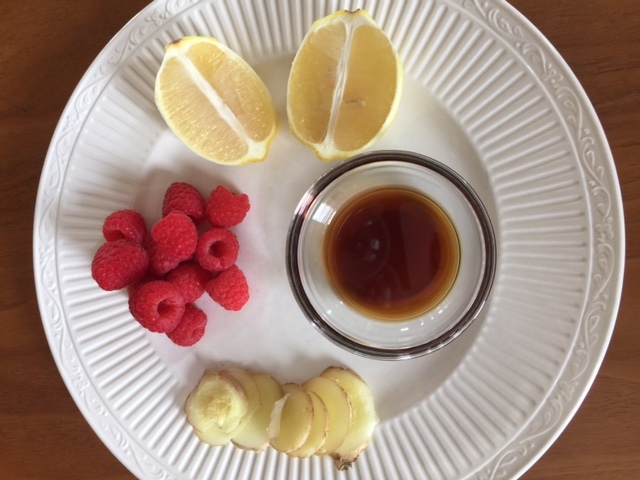 The lemon is a great alkalizer and supplies the vitamin C punch I need to get going. The ginger root increases circulation and decreases inflammation. Raspberries are filled with flavonoids that also help reduce inflammation, polyphenols to reduce free radicals and they’re high in potassium. But honestly, I just added them because I like the taste. 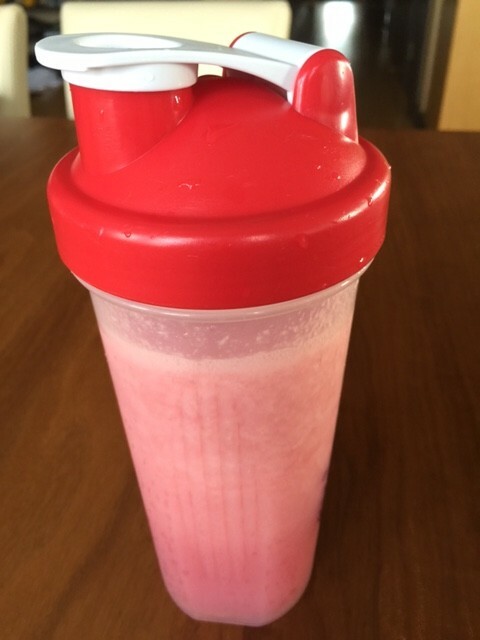 You’ll need a high-speed blender to emulsify the fruit & root and as few as 5 minutes in the morning to create this pink power-ade. 1 lemon, zest removed, unless you like your drinks REALLY zippy! 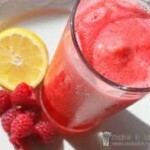 *You can replace the raspberries with a ripe peach for a great summertime refresher! Place all of the ingredients in your blender and mix for 30-60 seconds. Pour into your shaker cup and head out the door. This drink is zippy. If you want it a little sweeter add more maple syrup, but remember, maple syrup is still sugar!